PHP Frameworks, the most popular scripting language that provides the basic structure to develop a web application. With clean code, it saves time and effort. It uses the MVC (Model View Controller) pattern. 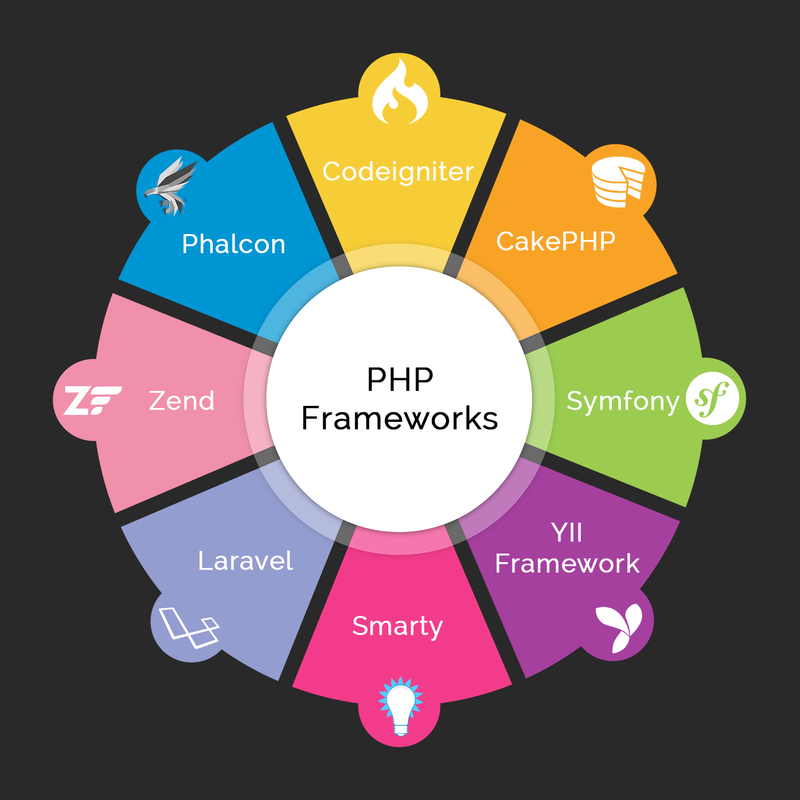 There are many PHP frameworks available – CodeIgniter, Zend, Cake PHP, Symfony, Laravel, Phalcon, YII are some of the best. ShareSoft Technology provides PHP Framework development services. PHP is one of our core playgrounds when it comes to application development. We have been in industry for a decade and it all started with PHP development. Our team of passionate and expert PHP developers makes it all possible to deliver the world class service. And, in addition our tech-saavys’ of the PHP development team can able to suggest you the best PHP Framework that goes in-line with your project requirements with WHATs and WHYs. Why ShareSoft Technology for PHP development? If you need a consultation service – Why I should use this Framework for my website? Yes, let’s talk about it and clarify. Are you all set to develop your website in PHP and want to enquire about our PHP development services and costs? Simple, Get in touch with us today!